It's reunion time again, with Dead Meadow welcoming the return of their original drummer-turned-lawyer-turned-drummer Mark Laughlin. Warble Womb is a bit of a foxtrot for the band, a combination of various sounds from the last however many albums, collabs and sessions they've done. At over 70 minutes, they've most definitely not lost their pace; it's totally stoner. Who else has an album that goes on for 70 minutes? Actually, it seems to be the album length du jour this season, with Arcade Fire's newie Reflektor racking up something similar, joining the ranks of Fleetwood Mac, Justin Timberlake and Kanye. Well almost Kanye - he stopped short by two minutes. 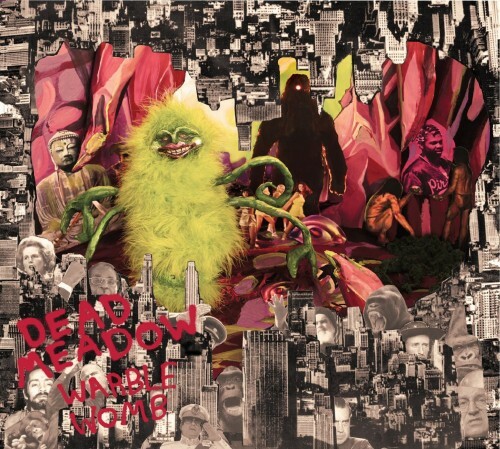 The return of Mark Laughlin has maybe brought renewed vigour to Dead Meadow, the band opening their eyes (well, ears) to developed sound, layers of instruments and meaningful sonic adventures. 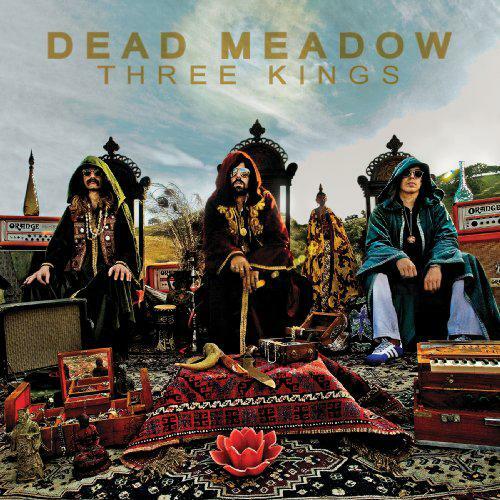 It's still Dead Meadow, they've not lost their thread and mimicked another psych-stoner sensation (or Jefferson Airplane as is the norm to throw out). Even more upbeat tracks (hated by doom-lovers) still have the feel of oldies like the re-done 'Everything's Going On'. The title tracks ('Warble Womb I' and 'Warble Womb II') are actually short and strange insertions of samples and noises, again a bit of an adventure for the stoners. 'One More Toll Taker' is a continuation of Simon's Dylan love, making for a folky ballad, and some clarity ensues with acoustic strumming on 'Yesterdays Blowing Back', with bluesy guitar more prevalent than diving basslines. 'Copper is Restless ('Til It Turns to Gold)' still has that super-slowness and dragged vocals to it and, more surprisingly, 'Six to Let the Light Shine Thru' and 'Rains in the Desert' have the melodic inclusion of female vocals – Amber Webber of Black Mountain, probably as a result of Jason Simno's work with Stephen McBean. It's a perfect combination. 'I'm Cured' ends with some backwards-played guitar noise and tabla that is so 60s psych it hurts. Warble Womb offers an altered experience of psych, a less doomy and more folky take on the ever-growing genre. We still get the Dead Meadow sludge and magic trailings of their stoner-ness, but with a mature insight into how other influences can develop their sound. Described by the band as “a shelter from the storm”, this album is most definitely a shelter from elongated hours of drawly doom.